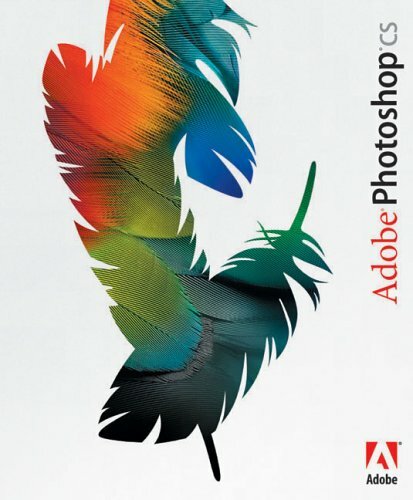 Get superior results faster with industry-standard Adobe Photoshop CS software and its integrated Web production application, Adobe ImageReady CS software. Graphic and Web designers, photographers, and video professionals can take advantage of indispensable features that include improved file management, new design possibilities, a more intuitive way to create for the Web, and support for 16-bit images, digital camera raw data, and non-square pixels. Now you can create the highest quality images more efficiently than ever before. Professional toolset. Create original images or modify photos using a full assortment of painting, drawing, and retouching tools. Color correction. Improve the color, contrast, and dynamic range of any image with a comprehensive set of professional color-correction tools. Enhanced layer control. Composite images, text, and effects on hundreds of layers that you can organize with up to five levels of nesting and save in different combinations as Layer Comps. Improved File Browser. Quickly preview, tag, and sort images; search and edit metadata and keywords; and automatically share batches of files from the improved File Browser. Advanced Web capabilities. Create sophisticated Web page elements, such as rollovers and animations, using ImageReadythe only Web application that's completely integrated with Photoshop. Healing Brush. Effortlessly remove dust, scratches, blemishes, wrinkles, and other flaws with the Healing Brush. Special effects filters. Easily experiment and achieve amazing results by accessing more than 95 special effects filters. Preview and apply more than one filter at a time with the new Filter Gallery. Advanced type control. Add vector-based text that you can edit at any time, format, warp, convert to outlines, and use for masks or other special effects. Customised workspace. Work the way that's best for you by saving personalized workspace and tool settings, and creating customized keyboard shortcuts. Unparalleled efficiency. Automate production tasks with built-in or customized scripts and the actions palette which lets you record editing steps to quickly process batches of files.